Progenitors of the lounge revival movement, kitsch-pop icons the Coctails formed in Kansas City in 1989; making their debut at an area art gallery clad in matching yellow tuxedos complete with maroon bowties. The group (singers/multi-instrumentalists Archer Prewitt, Mark Greenberg, John Upchurch, and Barry Phipps) forged a unique, eclectic sound celebrating the sound and imagery of '50s-era space age bachelor pad music, drawing influence from everyone from Miles Davis to Martin Denny. After issuing their 1990 debut EP Hip Hip Hooray on their own Hi Ball label, the Coctails adopted a slightly less whimsical approach for the 1991 full-length Here Now Today, the first major step forward in the band's continued creative development. 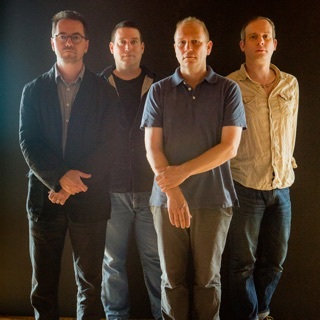 A relocation to Chicago preceded the release of the Songs for Children EP, while with 1992's The Long Sound, the Coctails abandoned their pop leanings altogether in favor of straight-faced jazz instrumentals, collaborating with the likes of veteran jazzman Hal Russell and reed virtuoso Ken Vandermark.